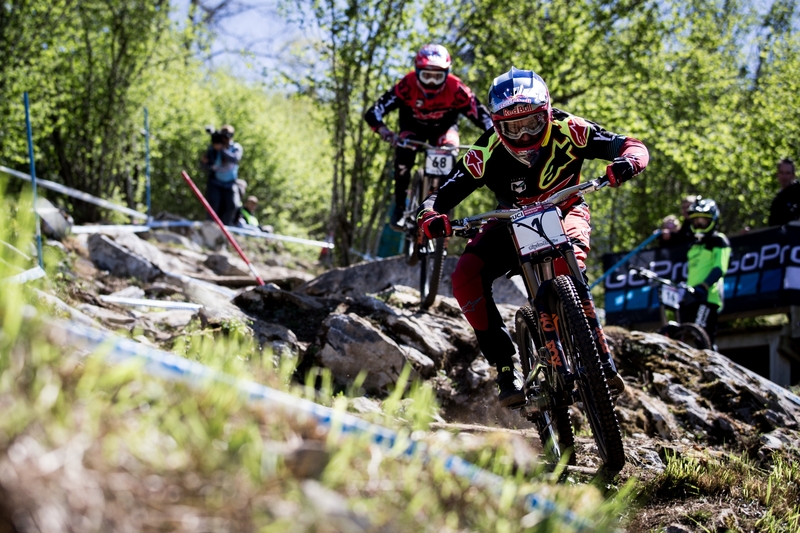 The opening round of the UCI World Cup was turned on its head when the top 10 qualifiers from Saturday were dealt with gale force winds, rain and low visibility as they took to the challenging downhill track here in Lourdes (FRA), which lies in the foothills of the Pyrenees Mountains. Despite the event being 2 weeks later than last year, snow fell on the track earlier in the week, and the sunny conditions of Saturday�s qualifying made way for very difficult conditions today in the finals. 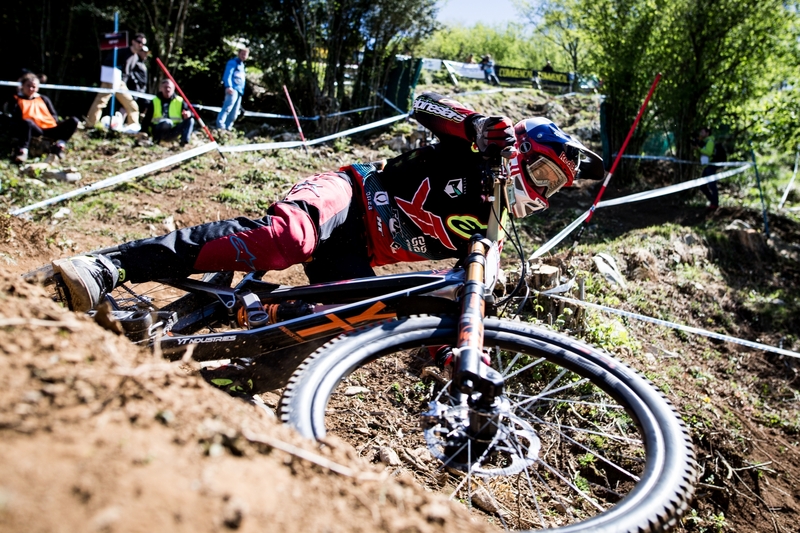 The YT Mob�s star rider Aaron Gwin, winner here for the past 2 years, qualified solidly in 5th place after having a fairly conservative run by his own admission and was ready to take on the top riders in the final today. Just like it did in the final race of 2016, the rain came late in the day and affected the runs of many top riders. Aaron crashed higher up on the course and out of view of the TV cameras, and this had an impact on his goggles causing him to have little or no vision for the remainder of the run. He lost his line further down the track, went off course, and was subsequently disqualified. Meanwhile YT Mob �rookie� Neko Mulally had a great qualifying race yesterday qualifying 16th place, earning his first qualifying points for 2 years, and setting himself up for a strong top 20 today. This also meant he managed to avoid the worst of the rain, but he still had tough conditions to deal with, namely super strong winds and visibility issues. The 7th place today is his 2nd best World Cup career result and sets himself up with plate number 6 for Round 2, and therefore a good head start on many top riders. 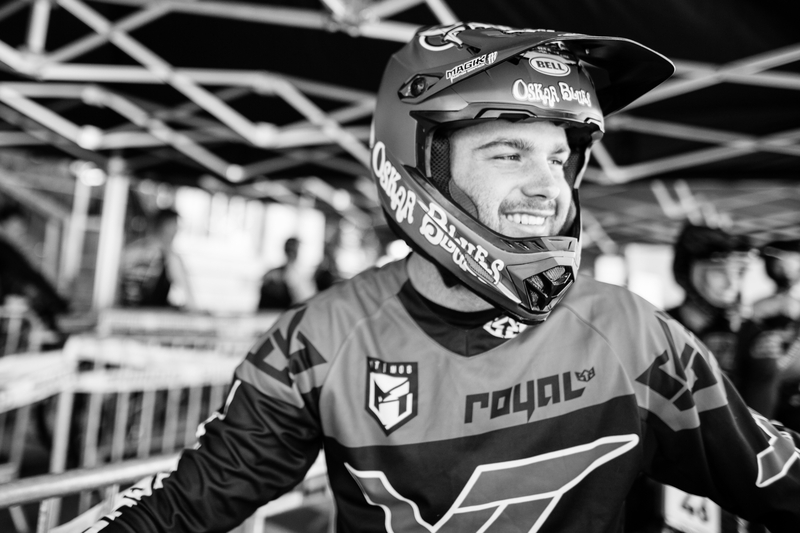 As confirmed by the team earlier in the week, our 3rd rider Angel Suarez was out this week with a broken arm, but we hope to have him back in the pits one way or another, by the 4th race in Vallnord, Andorra. Next official event on the team schedule is the US Open in Mountain Creek, New Jersey (USA) on May 27 to 28.